I spent nearly three years in custody and was sent to ten different youth and adult prisons across the South of England from 18 to 23 years old. It is my understanding that there are around 85,000 people in prison at any given time in England and Wales. Towards the end of my last prison sentence, I got help from an organisation that showed me by example, truth and empathy that there was a much better way to live. The most significant people in my journey of recovery have been those who could relate to me. They encouraged me to take a good look at myself. Without them, I’d have been back inside – or even dead. I’ve now been out of prison and not offended in over 5 years. Today I work in social care supporting young people. 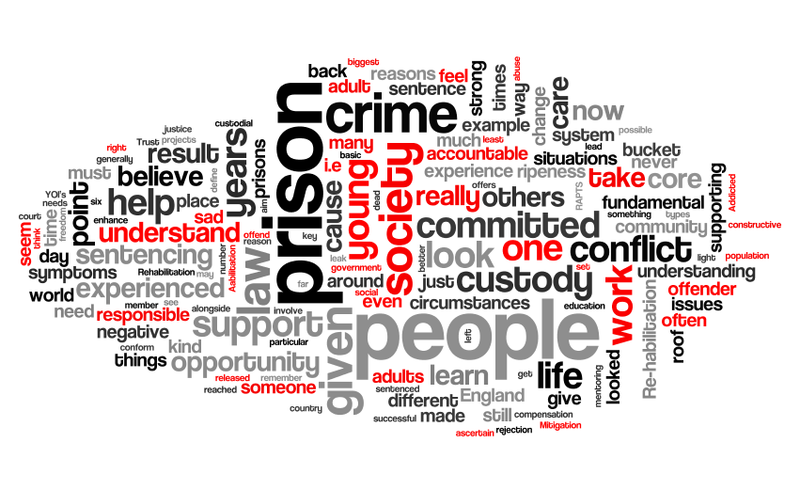 When we send people to prison we reject them from society and confirm the negative belief system these vulnerable young people and adults often carry about themselves as a result of their negative experiences in their most formative years, which is no fault of their own. Society’s reaction hurts them more, and takes us further away from the solution. Out of the 85,000 people in custody at any given time, generally speaking, they conform to the day to day regime; but when in society they don’t for one reason or another. If we take a look at what prison offers – accommodation, food, a form of education, and for some a sense of belonging – however sad that can seem. These are basic human fundamental needs. Continually sending people back to prison is just like putting a bucket on the floor as a result of a hole in the roof, only to end up with the bucket over spilling from the leak (sending someone back to prison) and not have any kind of lasting effect (Reoffending). We need to fix the roof to prevent further leaks – working alongside those in conflict with the law to provide wrap-around services in the community that can help them engage with things that make them feel a part of society. We must allow them to look at themselves to understand why they get into the situations in the first place. Rehabilitation suggests that one has once been a productive member of society and the aim is to restore them back to where they once were. But if we take a closer look at the prison population, many of the young people in prison have never been in a position to sustain a place in society and achieve successful independence, as a result of circumstances that left us at a huge disadvantage. It’s about looking at the core issues rather than the symptoms. Understanding this is a key element when supporting those on release from custody, this is something I call ‘abilitation’ rather than rehabilitation. I believe this to be true for many others who are in conflict with the law who have experienced adversity of different types.